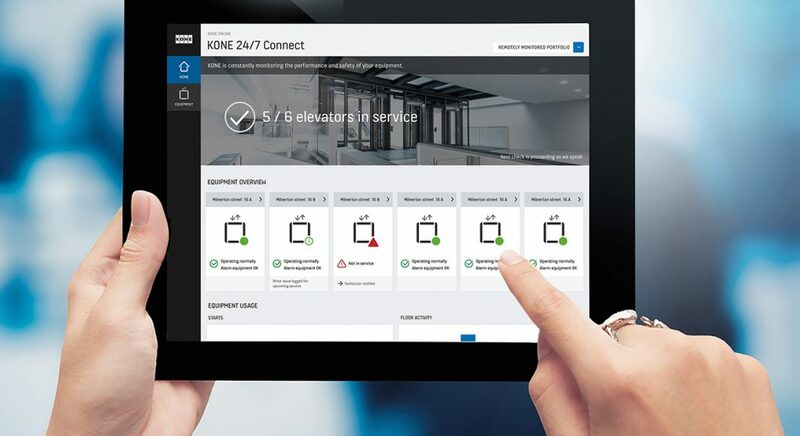 With 24/7 Connected Services, KONE enables its users to remotely call an elevator, while monitoring the equipment across 200+ safety-related parameters. The elevator / escalator manufacturer makes use of the Watson IoT Platform on IBM Bluemix for predictive maintenance—to help field technicians troubleshoot equipment malfunctions before they occur. 1.1 million elevators and escalators are monitored and serviced remotely around the globe. Improved equipment availability and reduced downtime. Remote software updates and troubleshooting. 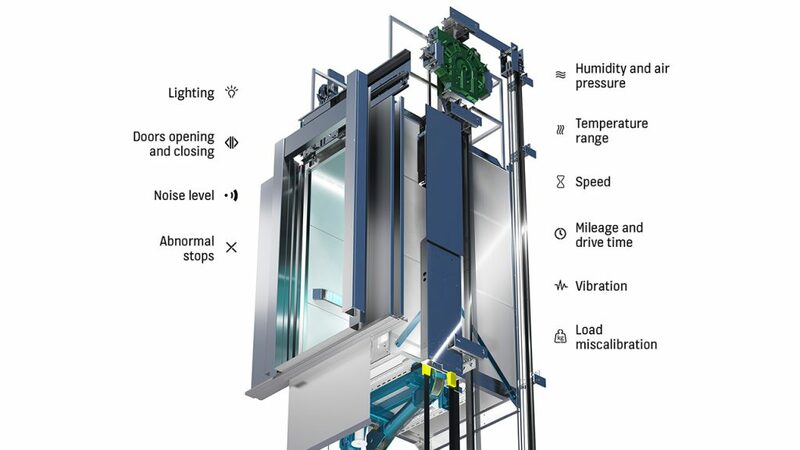 Energy savings due to optimized operation of elevators and escalators. KONE was founded in Finland back in 1910. It is one of the largest manufacturer elevators and escalators, having 52,000+ employees worldwide. The company prides itself in providing "people flow," aiming at making people's journeys safe, convenient, and reliable. By the end of 2016, the company has reported an annual net sales of €8.8 billion. Today, over 1 billion people are transported by KONE elevators and escalators everyday. KONE elevators and escalators are installed in over 400,000 buildings, including some of the most iconic structures in the world: Madison Square Garden, Marina Bay Sands, Leadhenhall, Makkah Clock Royal Tower Hotel, etc. Annually, NYC office workers waste 16.6 years waiting for elevators. Additional 5.9 years are spent stuck in an elevator shaft. While buildings are getting higher, the problem escalates. It is also accompanied by other issues, such as increased energy consumption, especially during peak hours. These problems are especially important for KONE, a leading manufacturer of elevators and escalators operating globally. According to Henrik Ehrnrooth, CEO at KONE, the company moves more than one billion people everyday. But why do people need to spend their time waiting in a broken elevator? The reason is that traditional equipment maintenance is mostly calendar-based. This means that the equipment and its components are serviced and replaced according to estimated times/dates of breakdowns. However, these schedules are still approximate, so technicians are often called when the malfunction has already happened. At the same time, KONE delivered elevators and escalators to 400,000+ buildings around the world. Each of these generates immense amount of data over time, opening an opportunity to analyze equipment behavior. With this valuable data, the company realized it can recognize malfunction patterns in advance and take early actions. Still, predictive analysis could also optimize the movement of people between different floors—reducing wasted time—and align elevator delivery with other events, such as entering the hall or taxi arrival. 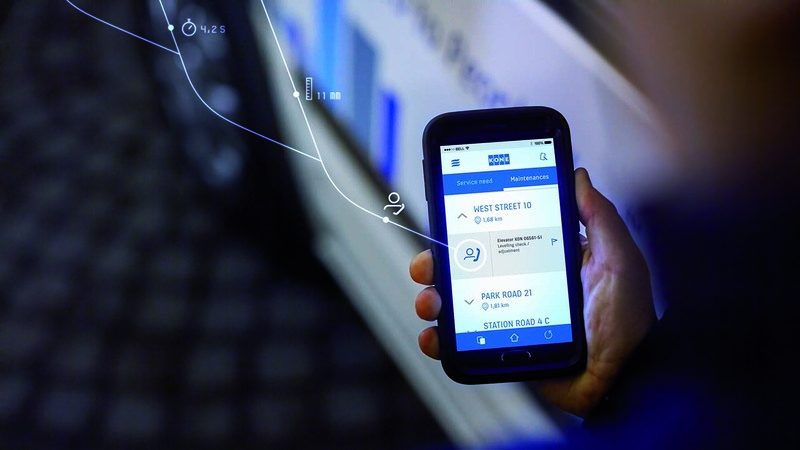 In February 2016, KONE announced an agreement with IBM to create an IoT system able “to predict and respond to selected technical issues in real time, with the ability to run tests remotely and make commands over the cloud.” One year later, KONE introduced 24/7 Connected Services as part of its KONE Care™ set of apps. On sending data to a cloud in real time, 24/7 Connected Services builds analytical models with IBM Watson, helping maintenance engineers to work out when equipment components behave inappropriately. Let’s imagine an elevator’s door closes one second slower than it usually does. Though this may not be an immediate cause for concern, it may be an indicator of some malfunction with the door-closing mechanism. The issue can be caused by dust, for instance, and may later result in a door stuck and the elevator going out of service. While KONE connects its devices using the Watson IoT Platform, Cloud Foundry remains a key component. During CF Summit Europe 2017, KONE’s Fareed Ahmed revealed that business logic and processes are implemented as Node.js runtime applications on Cloud Foundry. “Essentially, we are using both the service and application runtime aspects of Cloud Foundry,” noted Fareed. New applications being developed by KONE for its maintenance technicians and residential customers use both open-source and Bluemix services. 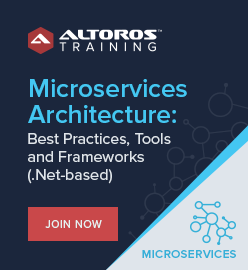 Some of the services include Kafka, Message Hub, Swift, Node.js, Liberty for Java, Object Storage, CouchDB, and API Connect. The collaboration with IBM was not limited to developing 24/7 Connected Services. Another important initiative was enabling the partners of KONE to create their own solutions utilizing elevator data. The company aims to unify experience within a building, reducing the fragmentation of existing systems. Previously, KONE had to enable a lot of integrations for each specific need—which was tiresome and impaired scalability. To facilitate integration and installation for both its developers and partners, the company made KONE APIs available to public. Delivered as REST APIs, the solution features a microservices-based architecture, utilizing Bluemix services. Engaging IBM API Connect, for instance, it made possible acсessing elevator data, monitoring equipment, and making DCS calls. As an example, the Button Corporation utilized the KONE APIs to create bttn. The service allows for remotely calling a taxi—and delivering an elevator as the car arrives—at, literally, a press of a button. The vendor offers a variety of physical push buttons that can perform POST/GET requests, publish event feeds in JSON, trigger automations, etc. Another partner, Indoor.Ninja has delivered an app that enables residents to use tablet panels—installed in building lobbies—as virtual receptionists when a host is out. Guests can call the host through the app, and an elevator can be sent remotely to pick the residents. Apart from IBM, KONE also collaborates with another member of the Cloud Foundry ecosystem—Dormakaba, a European provider of entrance security and access solutions for hotels, shops, offices, etc. Dormakaba relies on Swisscom Application Cloud—a Swiss-based Cloud Foundry distribution—to enable “Access-as-a-Service” for building owners. Together, KONE and Dormakaba delivered a unified solution that integrates an elevator with various control systems, customizing access for a tenant within a building. This may include showing only authorized floors for a person in an elevator, as well as other possible behavior/access. 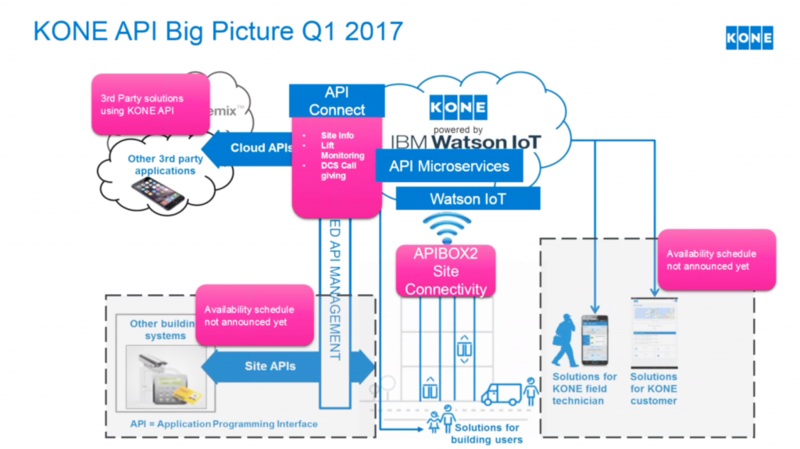 KONE states that—with Watson and Bluemix—it already monitors data generated by 1.1 million elevators and escalators installed worldwide. This includes the Staples Center in Los Angeles, which hosts around 250 events and 4 million people a year. Each event can have over 20,000 guests, so preventive maintenance is key and that is delivered through the KONE services, which provide detailed performance history and monitoring of equipment. Similarly, Humlegården Fastigheter, a property owner in Sweden relies on KONE to be able to predict when its equipment will break down and fix the issues before they occur. Modernizing the equipment in any building can be a challenge especially for high-traffic venues, such as the Denver Museum of Nature and Science. Using KONE’s EcoMod escalator solutions, the museum was able to upgrade its existing equipment without having to completely replace them, saving time in the process. More recently, Helsinki completed the first phase in its plan to extend its metro line in November 2017. This involved the construction of eight new stations including the world’s first metro station under sea at Koivusaari. KONE delivered 46 elevators, 70 escalators, and 25 automatic doors to serve around 100,000 of commuters moving through the Finnish capital daily. KONE is also enabling users to listen to actual machine conversations the company’s elevators are having with Watson globally. As elevators transmit raw data to the cloud, the information is translated into human language. 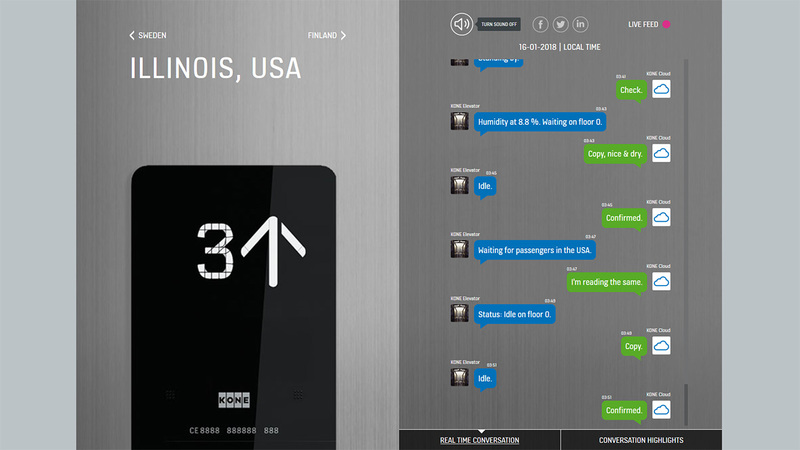 Anyone can listen to machine conversations of elevators located in various countries: the United States of America, Australia, China, Finland, and Sweden among others. By 2050, the United Nations estimate that over two thirds of the world’s population will be living in cities. KONE is looking to stay ahead of urbanization, using data analytics and predictive maintenance to improve “people flow” worldwide. In this video, Larry Wash, Executive Vice President at KONE Americas provides insights into improving “people flow” with Watson IoT Platform. Fareed Ahmed is IoT Lead Architect at KONE. 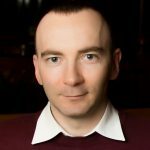 He has over 10 years of experience in enterprise software development. 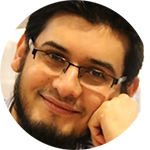 Fareed has solid skills in software architecture design on Java EE platform. He also has hands-on expertise in information system architecture, software design methodologies, software design patterns, and object-oriented design. Fareed is a proactive and result-oriented leader, skilled in mentoring and motivating an agile team to exemplary performance. Being Oracle-certified database administrator, he is experienced in developing relational database management systems. 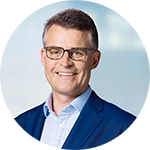 Jaakko Kaivonen is the Managing Director of KONE Scandinavia, consisting of four country units—Sweden, Denmark, Norway, and Iceland. 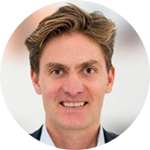 His role includes the overall responsibility to drive KONE Scandinavia’s business towards the vision and to deliver the best people flow experience. Jaakko is responsible for the safety, people, and leadership development, as well as customer service and short- / long-term business performance of the unit. He is also a member of the management team of KONE Central and Northern Europe area. 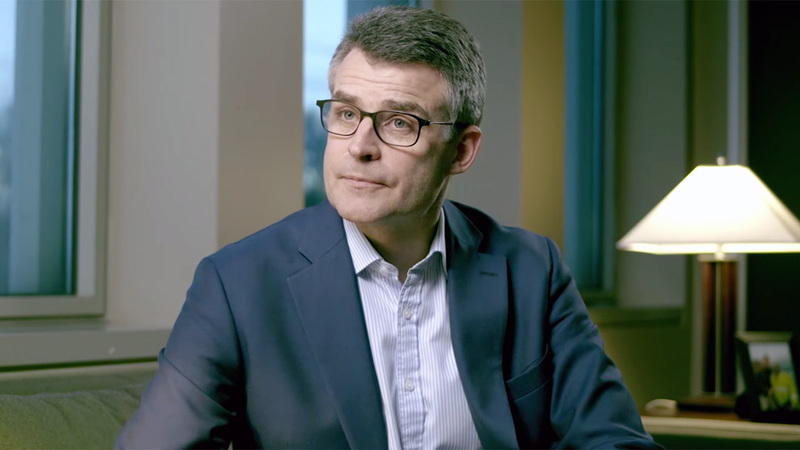 Henrik Ehrnrooth has been the President and CEO of KONE Corporation since April 2014. He oversees and participates in the overall development of KONE. 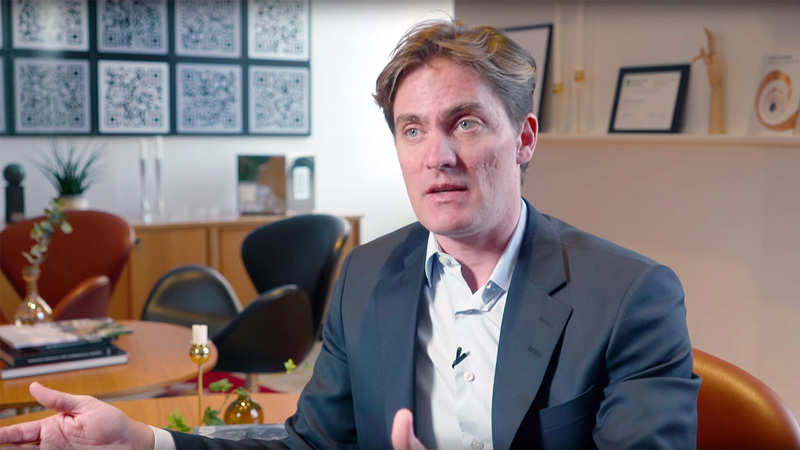 With a proven track record in investment banking, Henrik served as the Chief Financial Officer of KONE from 2009 to 2014 and as Managing Director of Goldman Sachs from 1998 to 2009. He has a M.Sc. Finance degree from the Hanken School of Economics in Helsinki. This post was written by Alex Khizhniak, Sophie Turol, and Carlo Gutierrez.